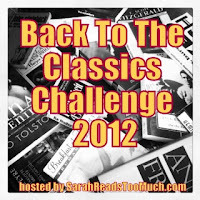 Two Bibliomaniacs: Another Reading Challenge for 2012! I love this challenge. These look like great books. I haven't picked mine yet - that's half the fun. I couldn't resist this one either. I just read Kim a couple of weeks ago, so I can't wait to hear what you think of it. I loved Mayor of Casterbridge, Hamlet and the Moonstone. I've read Tale of Two Cities twice, so of course I think it's a good choice for a reread! I'm taking part in this one too! You guys have some awesome picks for the challenge - enjoy!